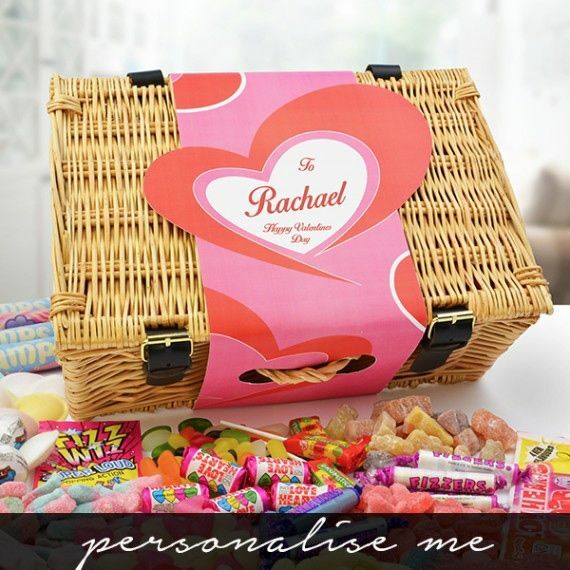 Treat your loved one to a special personalised valentine's sweet hamper this year. 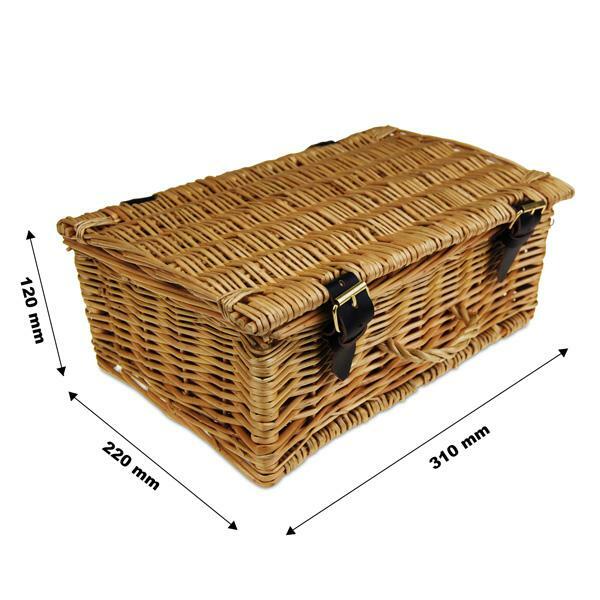 It comes filled romantic sweet gifts in subtle and stylish packaging to truly impress your sweet toothed, loved one. See product information on how to order. 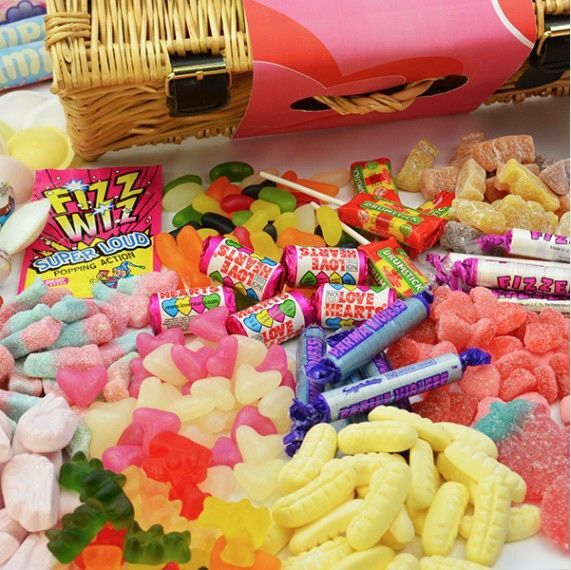 Our luxury hand made wicker sweet hamper is packed with a fabulous collection of romantic and retro sweets including Jelly Hearts, Heart Shaped Chocolates, Candy Love Hearts, Love Hearts Sherbet, Friendship Rings, Jelly Babies and Flying Saucers to name a few and finished with a stylish presentation sleeve.